A shelf that is sure to create a buzz in any living space, the Bee Shelf offers the perfect mix of fashion and function. 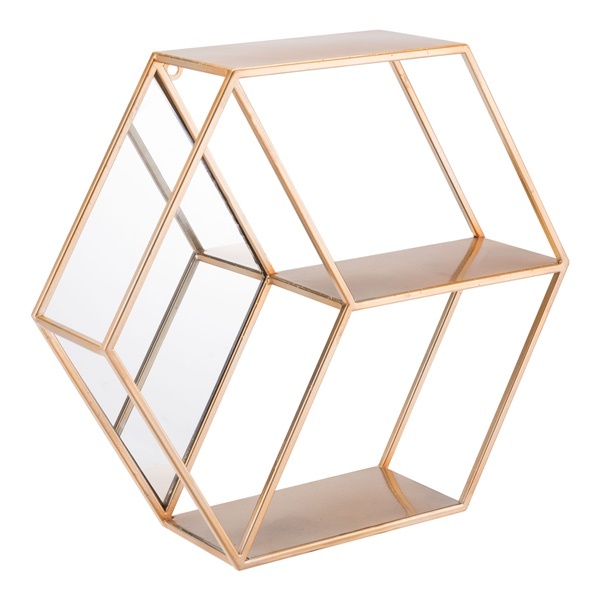 The piece features a distinct hexagonal design and includes two small shelves and a side opening to provide plenty of storage. It also boasts a dazzling gold finish that further enhances the piece's visual appeal. For a one-of-a-kind shelf that doubles as a wonderful decoration, you cannot go wrong with the Bee Shelf.